Rotating disc valve employs ceramic or hard metal friction pair structure , which makes it more abrasive and better tightness . It just needs a small starting load because the unique structure . 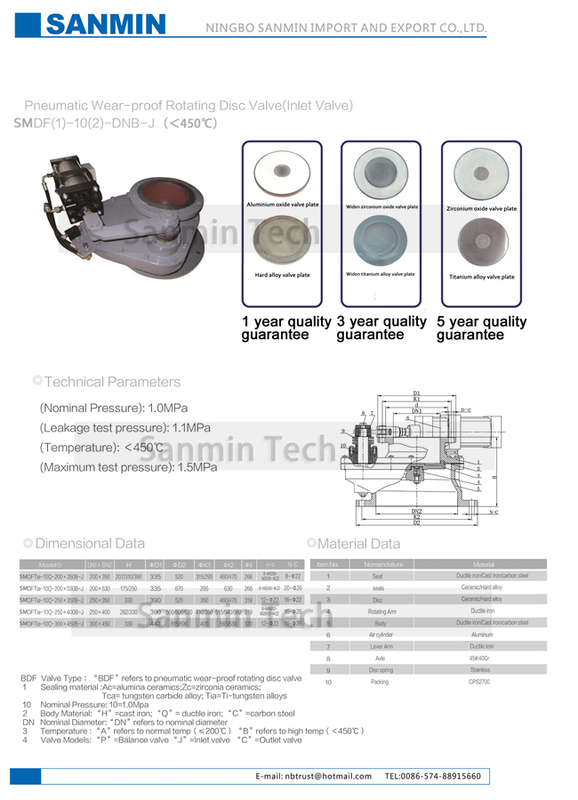 Besides , ashes hardly accumulate in the valve body due to the same reason . All these features make the rotating disc valve durable . The actuator moves the stem and lever arm a quarter turn which drives the disc . The entire sealing surface of the disc is constantly in contact with the seat or pad through force exerted by coiled springs . These springs allow the disc to move vertically . This compensates for thermal expansion and contraction of the valves components also overcoming the effect of any back pressure for which it was designed and between the sealing surfaces . Differences in tangential disc to seat friction forces cause the disc to rotate on its seat as the valve cycles , thereby shearing and wiping away any process material that may accumulate . All these features make the rotating disc valve durable . It will provide reliable support for your system . The rotating disc valve can be used in ash conveying system in thermal power plants. It also can be applied in mine , cement plant , lime work , metallurgic plant , chemical factory and other fields that need to convey caustic or abrasive ash . 1. Prior to installation , please read this manual carefully , and check the pneumatic actuator’s condition . 2. 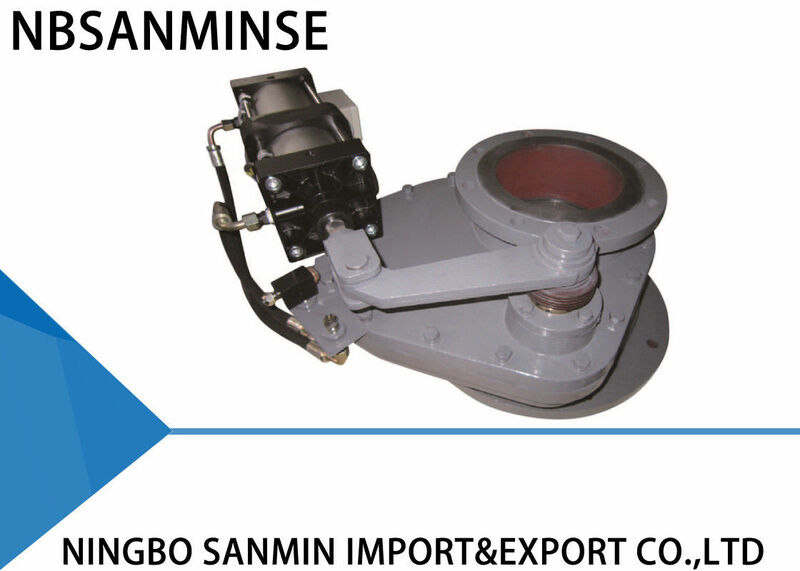 Ensure the flange’s dimension , maximum operating pressure and inside nominal diameter meet the requirements . 3. Do not adjust the bolts and nuts . And make sure the center of two pipelines and valve center are coaxial . Flange surface should be smooth and keep horizontal without relatively large slope , for make sure the valve can fasten and work well . Besides , the bolts should be symmetrically fastened . 4. After installation , pump air into the two air intakes of the pneumatic actuator , and make sure the valve plate work properly . 5. If the control switch is installed , ensure its parameters can meet the external power source and it can work properly in fully open or fully close .